You are at:Home»Herbs»Corylus avellana Linn. Latin name : Corylus avellana Linn. Description : The nuts have aphrodisiac, astringent, diaphoretic, expectorant, febrifuge, nutritive, stomachic and tonic properties. They are rich in protein and unsaturated fat. Moreover, they contain significant amounts of thiamine and vitamin B6, as well as smaller amounts of other B vitamins. Strengthens the brain and kidney. Also promotes strength and increases weight. Recommended Dosage : 5 to 10 g nuts. 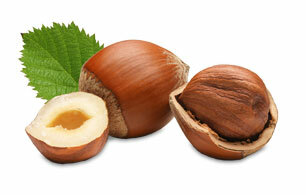 Contraindication : Persons allergic to tree nuts should not use Hazelnut.